Small family run hobby breeders rearing quality birds with welfare being paramount. Keeping Turkeys and Orpingtons is a hobby and it has just gone on from there. 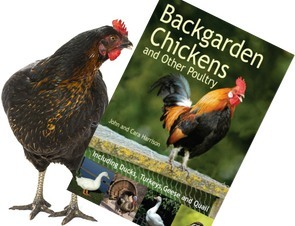 We are a small family run business specialising in Pekin Bantams & some large fowl breeds. We can also supply handmade houses, runs & hatching eggs. We are hobby chicken breeders based in Herefordshire. We dedicate much of our time and effort into little and large breeds of poultry. The two main breeds we specialise in are Pekins and Cochins. Small breeder specialising in quality birds, breeding for looks and productivity. Small number of guinea fowl- male and female at point of lay. We are Pygmy & poultry specialist, we have a country store & Tea room where you can see, feed & purchase pygmy goats, miniature pigs, Alpacas, Poultry and more! Including a gift shop and well-stocked supply section for your pet & livestock needs. The quality-proven housing they provide, is manufactured on site by their own carpenters, who can also create bespoke builds to suit every garden and smallholding. Additionally, in amongst their team are two SQP’s (Suitably Qualified Person) who can supply animal medicinal products and advice. Wynnes have long been successful public suppliers of poultry and livestock, equipment, housing and feed along with advice (based on 25 years of experience) and have built a worthy reputation from this. They pride themselves on strong customer service and feedback and are always available for help and advice.